Conducting and reporting high quality research is an essential part of the advancement of mind body medicine in health care. 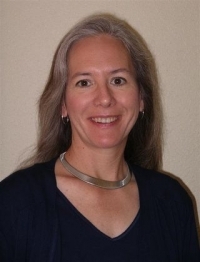 Julie Staples has worked as the Research Director at The Center for Mind-Body Medicine (CMBM) since 1996. The rising credibility of Complementary and Alternative Medicine (CAM) is due in part to high quality studies being reported in a way that the medical profession recognizes. The medical profession uses the Randomized Controlled Trial (RCT) to evaluate the efficacy of most interventions. Reporting results of CAM interventions using recognized research methods improves the validity and credibility of the studies, and opens the lines of communication with colleagues. Julie and her colleagues at the CMBM have recently received Institutional Review Board (IRB) approval to conduct three Randomized Clinical Trials in Gaza. The studies aim to evaluate the efficacy of mind-body skills groups for children, adolescents and adults with posttraumatic stress disorder. Previous research in Gaza studied the effects of mind-body skills groups for approximately 500 adults and 500 children. Among these, about 17% of the adults and 26% of the children had symptoms of PTSD. Using pre- and post- test measurements, the studies demonstrated improvement in PTSD symptoms and depression in both adults and children, as well as decreased hopelessness in children and improved quality of life in adults. The new studies will further advance the data gathered in the pilot studies with a more rigorous study design. Performing research in war-torn countries can be challenging since communication with research participants can be difficult due to unreliable electricity, phone, and internet connections, and lack of fuel. Simple office supplies such as paper and printer toner for copying questionnaires may not be available for weeks on end; and participants sometimes move to safer locations making follow-up impossible. However, the dedicated research team in Gaza has managed to overcome most of the obstacles resulting in the completion of several key studies. Julie is also in the data collection stage of a study that is being conducted with Veterans with PTSD at the Southeast Louisiana Veterans Health Care System in New Orleans. This study was funded by the Department of Defense, and is investigating the effects of mind-body skills groups on PTSD symptoms, anger, sleep quality, depression, anxiety and quality of life.